Lensa Welch has been writing on HubPages for over nine years. Her articles typically focus on the medical sciences. Recovery from a pulmonary embolism often begins in an emergency room or an emergency squad. It begins when the patient has a diagnosis of pulmonary embolism and is given blood thinners to stop new clots from forming. If the patient enters under extreme duress, it can be a very scary start to recovery. If the patient finally has an answer to mysterious symptoms the diagnosis may be a relief. With treatment, the body has a chance to heal from pulmonary embolism without the threat of new clots. On July 18, 2008, I found myself in the emergency room of an area hospital. This was only the second time in my entire life that I had been a patient in an ER. I knew, though, that I needed to be there—and that the ER doctors would likely save my life. It turned out that I had a very fatal condition known as a pulmonary embolism (PE). What I didn't realize then was that my experience in the ER, and the subsequent hospital stay, were the easy parts of my diagnosis. I had always thought that hospital stays would be miserable and that going home would be a relief. While I was glad to get home, the months following have been strenuous. While in the hospital I researched my diagnosis. I quickly found a lot of information about pulmonary embolisms. Page after page contained symptoms of a PE, the dangers of embolisms, and the treatments that were available. Other than treatment information, however, I found very little information about what the recovery itself would be like. I did not know what to expect after my PE. I did not know how long recovery would take or how recovery would alter my life. Everyone will find their recovery to be unique. 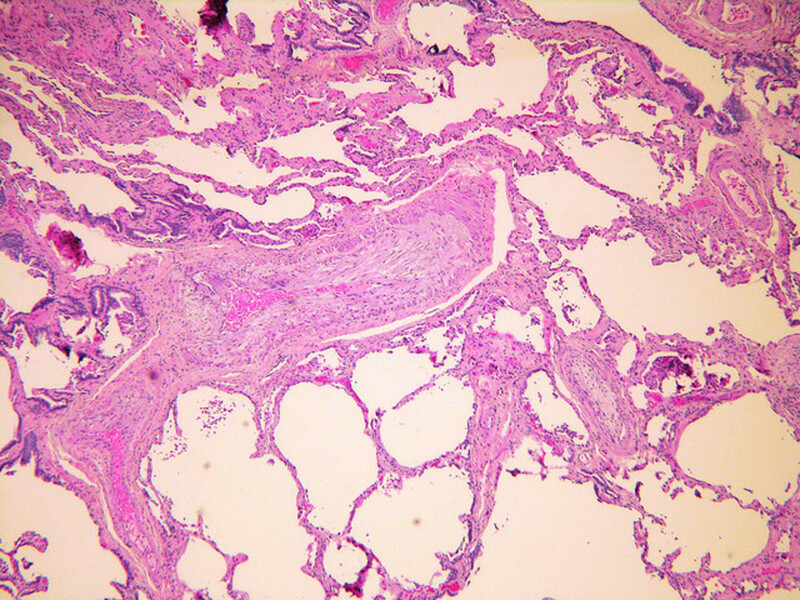 Like many disorders and diseases pulmonary embolisms can be of differing severities. There are people who return to work in a few days as well as people who die. It is a huge spectrum! There are a lot of ups and downs. Symptoms of the embolism will come and go for a long time after the embolism is found and treatment is initiated. It is not uncommon for someone to go 3 months without any problems and then find themselves with pain or shortness of breath again. The symptoms that helped diagnose the embolism are some of the same things that will be experiences after the diagnosis of the embolism. Symptoms should be checked out by a doctor. You need to know that they are not a return or exacerbation of clots in the lungs. Also, some symptoms interfere with living or are dangerous. These need to be treated so you can go back to living! Some symptoms are side effects of treatment. After a pulmonary embolism the body spends a lot of energy on healing the heart and lungs. This means that you will be more fatigued. You also will get sick easier, stay sick longer, and find that you get more sick feeling when you are sick. Why is a pulmonary embolism so serious? See this video using household items. A pulmonary embolism is when a blood clot lodges itself in the lung or lungs. The problem with this is that blood can't flow freely through the lungs. This prevents oxygen from reaching the lungs and makes the heart have to put more effort into pushing blood through the lungs. This makes pulmonary embolism a very serious problem. Many people with pulmonary embolisms never get a diagnosis until they are being autopsied. 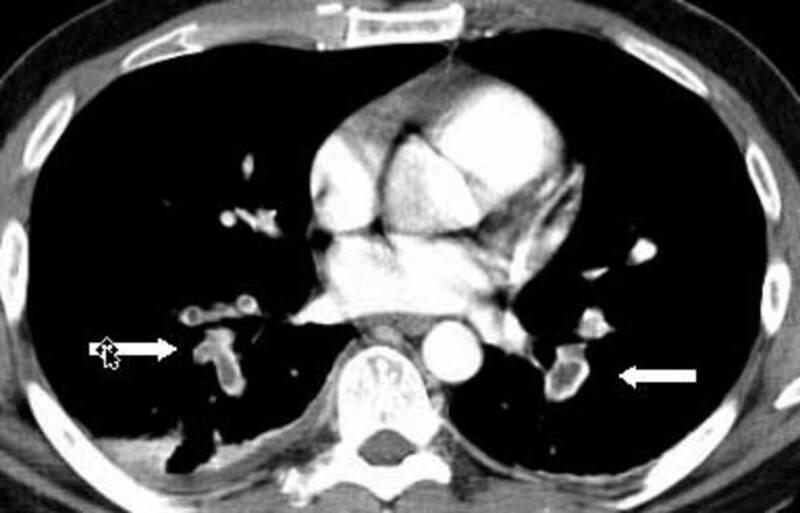 Sudden collapse and death are often attributed to an embolism. Death can occur even without any warning symptoms. The blood clot breaks off from someplace and blocks the lungs. If you are diagnosed with a PE you are one of the lucky ones. Pulmonary embolism recovery can be long if you have had substantial damage to your lungs or heart. Immediate care will vary greatly. 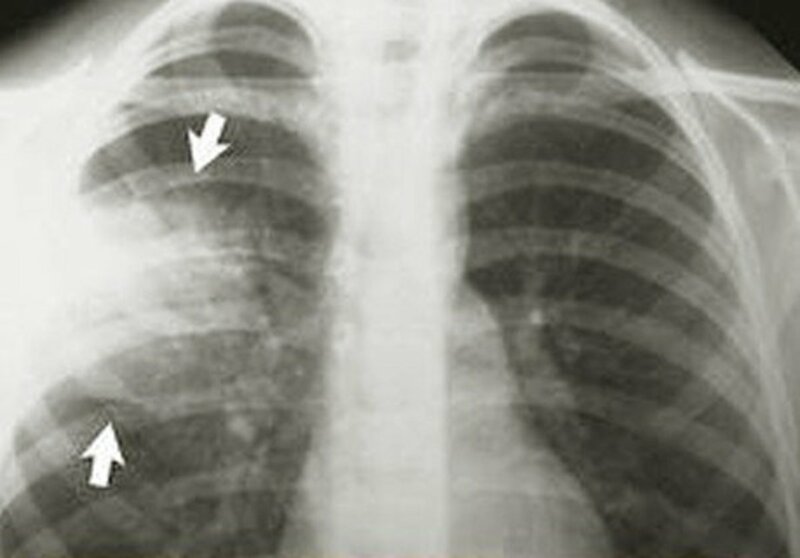 Patients with pulmonary embolisms may enter the hospital on their own volition. Walk in patients tend to be more stable, have less heart involvement, and smaller clots. 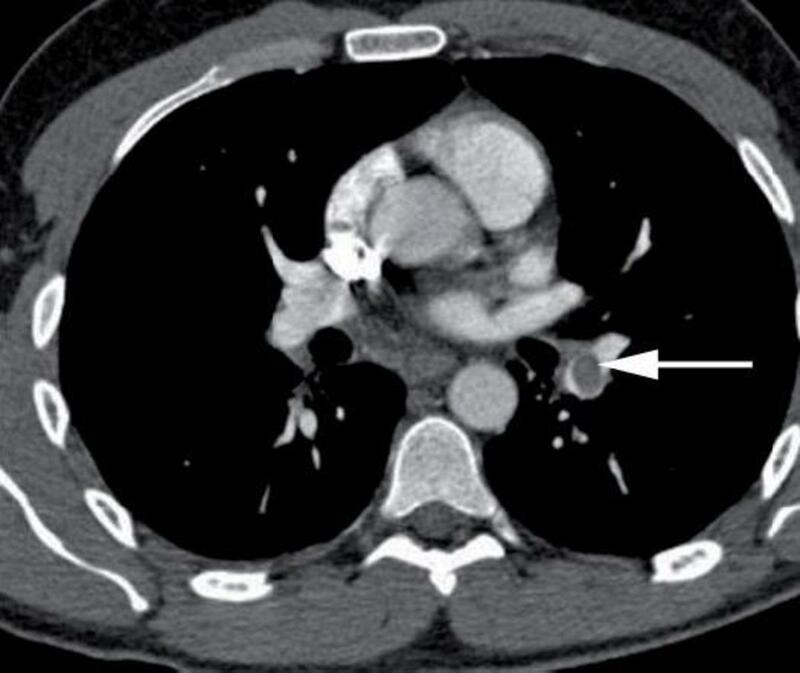 These patients may have simple complaints of chest pain or shortness of breath. On the other hand, some patients enter the hospital in an ambulance because they have collapsed. Some patients die before they even know that they have a PE. If the patient is highly unstable, doctors will run tests to determine the cause. As soon as the PE is discovered doctors may decide to use clot busters to clear the clots so that the patient can get oxygen back into the blood. Clot busters are a high risk treatment but can be a lifesaver for an unstable patient. Those who are not unstable will have calmer diagnosis and treatment. The hospital will take vitals and possibly do any of the following: EKG, chest x ray, D-dimer, other blood work, contrast spiral CT, ultrasound, oxygen measurements. Once the PE is found, the patient will likely be placed on bed rest until the legs can be scanned to check for clots that might migrate. The patient will be started immediately on blood thinning medication. 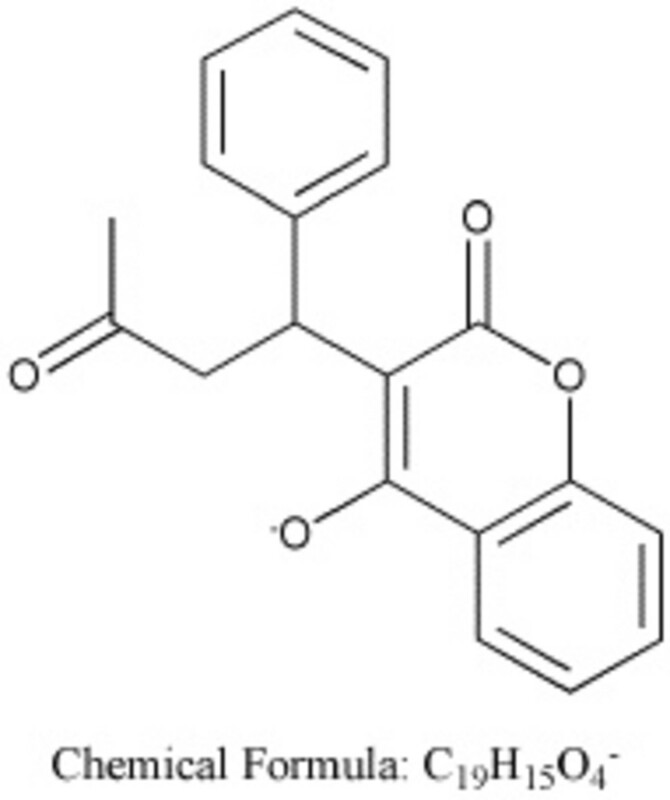 This is typically a heparin type drug for 24 hours and then the addition of warfarin. The first few days after your pulmonary embolism will vary based on how severe your embolism is and what damage the embolism has done. All pulmonary embolism patients should expect to have additional tests. These tests should include a doppler (ultrasound) of your legs (both calf and thigh areas) to check for additional clots and an echocardiogram to evaluate damage that may have been done to your heart. If you have never been tested for clotting diseases and conditions in the past, I highly suggest that you insist on a hematologist to run a battery of blood work to determine if you have any clotting conditions. Some of the blood work will need to be done after your clots have healed and you are off of blood thinners because blood thinners will skew your body's chemistry and invalidate some types of blood tests. Any DNA tests for clotting conditions will be able to be done at this time as DNA is not affected by blood thinners. Some doctors are now sending people with minor pulmonary embolisms home rather than hospitalizing them. This group will receive an injectable low molecular weight heparin until the Coumadin is at a safe, therapeutic level. Those with minor embolisms may also remain in the hospital on heparin until the Coumadin is therapeutic. Either way, those with minor embolisms may be lucky enough to return to work a week or so after discharge. Once your medical team has decided that you are safe and stable you may be allowed to use the restroom. Doctors need to make absolutely sure that there are no additional clots that may dislodge from walking before you will be allowed up. The leg ultrasounds mentioned above will provide solid evidence on the risk of more clots lodging in your lungs. This will give you a lot more freedom and will be a large step in your pulmonary embolism recovery. The ability to walk means that you can do toiletting with more independance and will no longer have to use a bed pan. Bed rest will remain a large part of your day. When you will be encouraged to walk the unit is based on what residual heart damage is found and how your body is faring. If your blood oxygen and heart rate look good you will begin to be allowed on supervised walks of the unit. Walking will help you prepare for going home. Walking will also help to prevent new clots. The big question that many people have is "what does therapeutic range mean?" Warfarin has to be at a fairly precise level in order to work well. If you take too much warfarin you will be more likley to have a significant problem with bleeding. If you take too little warfarin you are likely to develop blood clots. For many people this will mean an INR between 2.0-3.0. INR stands for "International Normalized Ratio". INR measures how long it takes your blood to begin to clot. There is no exact science to warfarin dosage. You will slowly have your warfarin increased until you are in range. Your body may need a higher dose of warfarin than someone else. In these cases the patient will stay in the hospital for a longer period of time. My total stay was 11 days. I left with an INR of 1.8. I was given low molecular weight heparin to self inject until my primary care doctor could get me to therapeutic range. My vitals were fine and I was safe. The hospital felt that I would be safe at home as long as I continued a heparin type drug until my INR was high enough. You will need to have an appointment set up with your primary care physician or hematologist that is monitoring your case. A doctor will need to see you soon after discharge and a few days a week until your warfarin dose pattern is established. For the first few weeks you may be going once a week or so. While these symptoms are common you should not dismiss them. Talk to your doctor. If any of them are severe, or you are not sure whether they resemble a clot or recovery, you should go to the emergency room and tell them that you had a recent PE. They can test you to see if there are any new clots that have shown up. Also, if you aren't feeling well work with your doctor to get better. This may mean an exercise plan, gradual return to work, or medications to help specific symptoms. Anti anxiety medication as well as asthma medication may help you depending on your circumstances. Be your own advocate until you feel like you have gotten the best care that you can get. I recommend getting a copy or your tests and files from the hospital so that you have them as a baseline for the future. What restrictions will I have while recovering from a pulmonary embolism? Most people report that there are no restrictions once they are home. Ask your doctor if you have restrictions but know that often exercise and sexual activity are safe as long as you listen to your body. If you are out of breath or your heart is racing, take a break or slow down the intensity of your activity. Exercise may help prevent further clots so don't give up on it. How long will recovery take from a pulmonary embolism? Recovery will depend on the severity of the PE and any possible heart damage. I was out of work for around 3 months. I was told that a year out from my hospitalization I should feel a lot better. It is looking like that was a good estimate for my body. I will sleep past 1:30 in the afternoon now without an alarm. I never did that before the PE. I also have an asthma like condition. The breathing problems from that cause coughing, mild shortness of breath, chest pain, and fast heart rate. The irony is that the pulmonologist can't "see" this condition. Luckily my doctor and the ER doctor have found it and know how to treat it. In some ways though it makes me sad. I wonder if I will have those symptoms forever as a legacy from the embolism. The great thing is, the fatigue is getting better every day. This is June. July was my hospital admission. There have been a lot of ups and downs. I have been to the ER two times for shortness of breath. Luckily, I was clot free both times. I am finding that colds and other respiratory infections hit me harder and for a longer period of time. My heart rate is still higher than what it used to be, but, it is down from where it was last July. I still feel chest pain on some days. I am still taking warfarin. I will go off the warfarin in July to have additional testing and to see if I can stay off of it. I am pleased with my progress as it has been a long road. Some people have a harder time with symptoms than I have. I am grateful that I haven't had excruciating chest pains or extreme shortness of breath. Anticoagulation therapy may last anywhere from 3 months to 1 year post PE. This therapy prevents new clots from forming. Your old clots will be dissolved by enzymes in your body or they will be sealed off like a pearl. Mine are all gone. 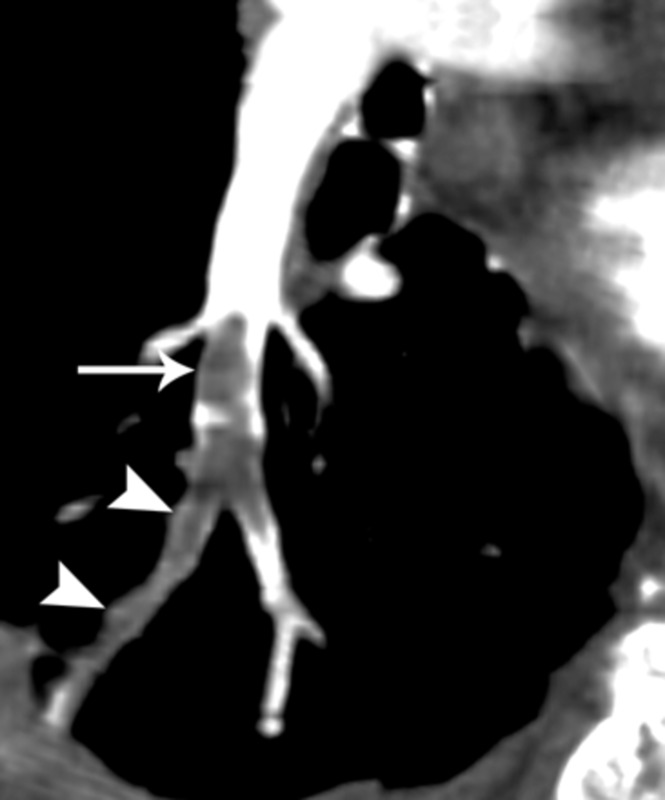 Lung clots typically dissolve while leg/body clots dissolve and are patched over. You can come off of anticoagulation if there are no serious clotting conditions and if you haven't re-clotted while on anticoagulation. If you clot again, you will go back on anticoagulation and will likely remain on it for life. Pregnancy is still feasible. Look for a OBGYN that specializes in high risk pregnancy and find a good hematologist. While traveling, take precautions to prevent clots. Drink water or electrolytic beverages, move around the cabin of the plane, take frequent rest stops in a car, consider prophylactic low molecular weight heparin injections, and possibly wear gradient compression stockings. Above all talk to your doctor. If you are bedridden, sick, or in surgery make sure that a doctor knows of your history and take steps to prevent clots before they happen. All in all, life won't change too much. Live with intention and appreciate your body. It survived a potentially lethal assault. Why did you have a clot? What caused your clot? Did you have a clotting condition, thrombophilia, surgery, or other risk factor? I have had my year anniversary come and go. I am no longer as tired as I used to be. Many days I would say I have all the energy that I had pre-embolism. I am off of Coumadin. I started feeling a lot better when I stopped it. I have a cough off and on and shortness of breath. These have been traced to Vocal Chord Dysfunction and possible Asthma/reactive airway disease. These do not appear to be caused by lung problems or lasting damage, rather, they may have been a result of the stress of the situation or my breathing patterns post PE. I have been tested for a large range of clotting disorders. I only have heterozygous Factor V Leiden. I drink more water, take 15 minute rest breaks when driving or traveling, and leave my desk for breaks at work. I notice my legs more. I wonder if they have clots and find myself concerned that the twinge of pain is something more. So far, it hasn't been. I have chosen to see my hematologist once a year rather than dropping him entirely. When I wish to have a child he will be an integral part of my medical team. So, there it is. I hope that this PE will be my only clot, but, time will tell. Recovery comes. A year makes all the difference in the world! How long did it take for you to feel fully recovered? I have been thinking a lot about how blood clots change your life lately First, my grampa died. I look back at my clots and see my gramma's death as the possible start point for my oddyssey so it is a very good time to discuss this. I made a drive to and from Michigan to get stuff from grampa's house last weekend. I had to think about it... 3-4 hours there... will be working on my feet... 3-4 hours back. Okay, that means only 1 driving break each way. That isn't too bad. I should be fine. Then after the trip I found myself scanning for signs of new clots. So far there are none. It got worse though a few days ago. I got a stomach bug. I was nauseous as anything. I laid in one position for literally 11-15 hours and only got up once. I was in bed for about 36 hours. I am now watching again for clots. I am wondering if I should tell my doctor. So far, no signs, so I haven't asked him. It should be fine. The dehydration from the ordeal was pretty bad... about 6%. That worries me as much as being stationary. This is the life after clots. I can't tell I had them physically but mentally it will always be there. What Do White Spots in Your Stool Mean? Is there a support group for people in recovery from PE. Info helpful. Had massive truncated PE late Dec. Was recovering from chest cold. Woke up feeling like i wasnt getting enough oxygen. No pain. Husband made me go to ER. Doc did CT scan put me in the ambulance with heparin IV to next larger town to Hospital with a Heart/Pulmonary unit. Was told most likely would not make it alive. Docs amazed kept telling me they were witnessing a miracle each day I survived. All tests show no cause after brain, gastro, kidney and liver scans. On Eliquis now with some NAL liver damage. Never drank, took drugs or over counter meds in my life so most likely caused by anticoagulant medication. Quit smoking 30 yrs ago. Did have double hip replacement 3yrs ago with no problems doc put me on preventive anticoagulant for 2 wks following surgery. After surgery 40 yrs ago had a PE. No more problems again. Until this active and healthy 72 yr old with very large family no heart blood problems. Grandparents and other relatives live past 100. Doing ok get tired but excercising daily. What scares me Ive been back in ER for what they call Sincope. Brain just shuts down. Both times at home. Nobody seems to want to deal with this or tell me what is causing it. Did have echocardiogram yesterday. No chest pain no breathing problems. Im worried. Does anyone have information on what causes sincope after a PE. Good lord, I thought I was soooooooo alone. I had a bilateral saddle PE the week before thanksgiving. they did an emergency clotbuster and put me on Eliquis now. follow up is in another 2 weeks. not used to even minor shortness of breath and I LIVE ALONE. the night it happened I was on my way home when i just didn't feel right. thought it was another anxiety attack but turned out to be something this dangerous. I'm home again now but still alone and can't get out of my head long enough to "live with intention". I'm trying so hard not be afraid. SO. HARD. Thank you so much for your article! it's the most comprehensive one I've read and totally appreciate it! I was diagnosed 30 Oct with multiple clots in both lungs. It was found out after a sharp GP noticed my high pulse. Was put on a Holter monitor and found that my average pulse was going 105, and peaked at 153. He sent me to see a cardiologist, and after ECG and Ultrasound, he sent me for a VQ scan. That's when I was told I had PE. I was not prepared for anything, as I drove around for tests on my own. I did not even know what PE was, and what it all meant. Went back to the GP with the results and was sent immediately to see a Respiratory Consultant. He advised me to check into the hospital, but the nearest hospital was a Private Hospital, and they needed a $20k deposit in case I went into Cardiac Arrest! So I chose to go home (honestly, I didn't know how serious PE really was). Am on Xarelto (for next 6 months) and apart from the feeling of having something sitting on my chest whenever I lie down, I'm otherwise going about my normal routines. Had to cancel my holiday to Hawaii though. And to top off the bad news, they found 2 x 21mm gallstones, which I cannot remove as am on blood thinners. Doctors are happy with my progress. That's the thing.. they never really made a fuss about my diagnosis, that made my partner think that nothing will happen to me. Really great article that answers a lot of my questions about what I am going through (EP 4 months ago). Diagnosed 2+ weeks ago with massive bilateral PEs. Placed on Zarelto. Vitals are good and ultrasound showed nothing. Hospital didn’t test for clotting disorders prior to placing me on blood thinners so can’t be certain of the cause. I just wonder which “hurts” I should pay attention to in the future. I have other chronic issues that would attribute to various aches and pains which I would normally ignore. My major symptom was shortness of breath and it took a few days to realize it was different from my asthma. I am not an alarmist, but wonder if I should be? in 2009 I went for surgery to remove blood clots from both my lungs. Back then I had never heard of this condition and felt totally alone . thank you for this wonderful article . I was admitted to the hospital this past Wednesday after going to the ER with shortness of breath and pain in my calf. I was 2 weeks from my surgery and had just gotten a hard cast 2 days ago. The ER checked my vitals. Oxygen was low, blood pressure was up, heart rate was up and my skin was pale and cold. The began running test for PE and determined that I had Saddle PE. They then proceeded the treatment plan for PE. I am one month out of very large bilateral pe blood clots and a dvt in my right calf. Just went to my Pulmonologist today for my follow up and he was very positive about it. I have been on drugs for my Rheumatoid Arthritis for 10 years and I smoked (hoping I've quit for good this time) and I'm obese. Had to fire my Rheumy bc of her attitude and lack of knowledge about the drugs I'm on. She decided to override what the Pulmonologist concluded and say it was my sedentary lifestyle. I work retail as a store manager 40-50 hours a week. Going back to my old Rheumy! The pain in my chest surprised me. For the first few weeks back to work if I did a lot of moving merchandise my chest would hurt as well as my shoulders. It caught me off guard, but luckily I'm Facebook savvy and found a pe group online to ask questions of long time blood clot survivors. Thank you for this post it definitely helped. This is one of the most helpful and straightforward pieces of information I have found. Thank you. I am 9 months post Surgical DVT/ Multiple PEs in both lungs (70-80 total). Today I still have quite a bit of SOB and my oxygen SATs remain between 94 and 96%. Like you I do have the chest pain mainly on my left side. I've been evaluated for pulmonary hypertension, CHF, COPD, and reoccurring PE/DVT. My most recent dx because of the SOB and chest pain has been bronchitis with left side pleuricy. Prior to my knee injury that lead to surgery, I was running 3-4 miles a day. Now I can barely walk 1/2 mile without my lower leg swelling and becoming quite painful along with the severe SOB. I have battled with depression because of the inability to be as active as I was. My GP tells me it get better as time goes by but that I will have some set backs on the road to recovery. Because of the severity of the blood clots I had, I was told I'm looking at 3-5 years of having complications but that I need to try and push my lungs to make them stronger. In January, while pregnant, I had severe pain in my thigh and went to the ER to "rule out" a blood. Clot. Only to find I had an extensive DVT and bilateral PE. I was hospitalized 8 days and put on Lovenox as warfarin is not safe for pregnancy. Because I was pregnant, I literally did not notice any symptoms of PE. Any shortness of breath I may have had I probably attributed to pregnancy. I also did not have most of the visible symptoms of DVT, just a lot of pain and a little warmth behind the knee. It's now been 6 months and I've had my baby. I've been diagnosed with heterozygous factor V Leiden and MTHFR (or something like that, I always mix up the letters). I'm seeing a hemotologist next month. Every several weeks, if I feel any pain in my legs or breathing issues, I start to get anxious and wonder if I'm getting another DVT or PE. I often think of my husband and daughter being alone in those times. I trust God but it is still scary and sad. I'm glad to know others feel similarly, and that I'm not the only one. Thanks. I am pulmonary embolism patient since 4 jun 2015 until now I am taking medicine (Apixaban). My Doctor advised me this tablet for life time. I am 33 years old. I lost my sexual timing, can I take delay tablet? Please give me advise. Thank you for your post - I think PE must be the same world wide so it's good to know what lies ahead for me I'm two months post and on warfrain. Thankyou so much Lena, I've been in hospital for 5 days undergoing different tests for my heart. I tested positive for heart disease. Then started having chest pain on Friday & have been told I have PE. Thank you very much for this article. I have small cloths in both lungs and larger clots in my legs. I am one of the lucky ones who went to the emergency room for shortness of breath and chest pain and the doctor who, after hearing I was on tamoxifen after having had breast cancer, ordered tests for clots. This was almost three weeks ago. I spent 6 days in the hospital getting my warfarin going and get my INR high enough to go home. I really appreciate the information on what I can generally expect on my recovery. Thanks for posting this. I am 14 months out. Was in a wheelchair for 9 months in a nursing home. Started aqua zumba exercises 3 weeks ago, then chest pain and shortness of breath for the last 3 days. Still trying to get better. I am 49. I was discharged a week ago from the hospital. I went to the ER on Easter due to shortness of breath. Cat scan showed bilateral PE. I was admitted and placed in ICU. I had a catheterization procedure where tPA was dripped directly into my lungs for two days. Lying still required a lot of painkillers. After 4 days in ICU and 2 days in step down room, I was discharged. I am currently taking Lovenox injections and taking Coumadin trying to get my INR up to 2.25. I was cleared to return part time to my desk job next week. Doctors think my big problem is my 60 mile (90 minute) morning commute. Plus I had long drives and air flights to see clients in the weeks before my hospitalization. So I am still taking it day by day. Thank you for writing this. It's been very helpful. My husband had a PE after surgery for a hernia. The entire experience was terrifying. He goes back to work today on modified duty. The cough and weakness/fatigue are there. He is 19 days post surgery and PE. I hope someday I can let go of these feelings that I need to watch him so closely and just let him live his life. This is very helpful. I was sent home two days ago with Xarelto and I'm still having chest pains, in new places. This article helped me NOT freak out. Thank you! After having clots in both lungs for 6 months now, i am always tired, have headaches and and very down and lonely. i know i am old(76) but someone please help me as my GP does not bother to help me and i don't know what to do. i am very lonely and need help. will I ever feel any better. Thank you for all this information! I am only a week past my embolism and still pretty scared. It helps to know others have had this experience and lived to tell the tale. Prayers for continued health for us all! As others before me, thank you for writing this article. I am currently in the hospital (day 3) and thankful I'm alive to see my 2 kids and husband. I had multiple clots in my lungs (both), some of which were very large. My experience here has been just as you relayed. Reading your article made me feel like I'm not alone. I've read that it happens to people a whole lot. Thanks again and take care. Happy to be alive. Thanks for the information. I was diagnosed 12/6/16 with PE in both lungs as well as a pulmonary infarction in my right lung. This resulted in part of my lung dying. I'm struggling with recovery as I thought I'd get some blood thinners and oxygen for a while. I'm now 2 months in and just able to go back to work part time. I never would have thought it would be this difficult to heal from. Shortness of breath and pain in my right lung is the worst part of the recovery. Oct 31 believe it or not they found my huge PE. Started me on Xarelto. Everything tells me my body will absorb the P E my boyfriend is under the impression it's already gone. It was huge I saw the cat scan. They did not give me a clot buster or go in and get it. The blood thinners don't do it on their own right? I had a PE in Nov. still having problems. Just wondering if anyone has had severe muscle aches, back aches and muscle spasms. There are days I ache so much I am in tears. Help! Dr. Says not side effects of the medication I am on...Xarelto. I have one small clot in each lung. Recently I have noticed I can do a lot more like stretch my ribs without any effort or pain, when I cough or take a deep breath it feels easier and clearer than when first diagnosed, exercise is slowly getting a bit easier to do. So feeling hopefull for the all clear when go for my check up later this month. If still there (which I think they are) I am hoping they will be gone after a year or two on thinners. First had PE 6 years ago - was in hospital for a week but recovered without a problem. Stayed on warfarin for about 6 months, then they took me off of it. Six months later was back in hospital. On warfarin for life now. Everything was fine until June when I landed back in with IR of 1.2. Was in for a few days then released. Before I went in this last time I was sleeping about 4-6 hours a day. Now, I sleep 9-10 hours a day. Always fatigued and tired. I'm just not bouncing back. They're done heart scan (no damage). Getting a new CPAT machine next week. Hope that helps, but I'm really worried that this is the way it's going to be forever. People don't understand how difficult recovery is this time. Blood tests are not finding anything. This is a great article that I am sure helps many people, like myself to deal with the after effects of the blood clot problems. As an old Retired State Trooper, and thinking that I can deal with and defeat any physical problem that could attack me, I found out there are many physical problems that happen, that are above and beyond the ability of an average person to deal with. I am 80 now, and just got released from the hospital with what I think the clots are under control. My blood level at 2,1 is OK and the future tests for the correct level will continue until the time when I will finally assume room temperature, (which I hope fro a few more years.) Possibly 10. But I just wanted to say this article help me and I am very sure that many people appreciate. THANKS TO YOU. Thanks so much for writing this. I am 6 months removed from provoked bilateral PE's due to a ruptured achelles tendon and torn calf muscle. 3 months off warfarin. 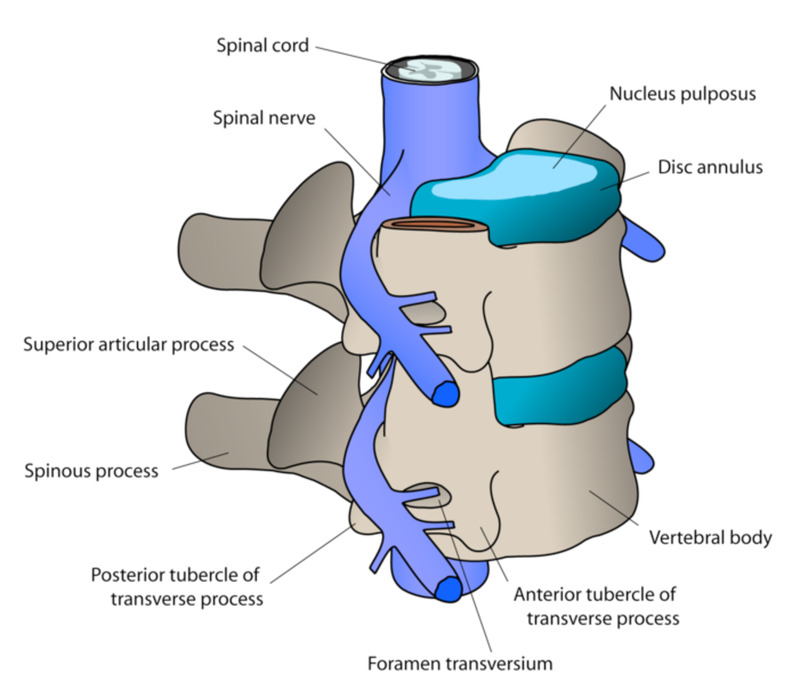 My Dr thinks I am crazy when I talk about ongoing sternum pain, occasional light head and ongoing discomfort in my left shoulder and back. I went to the emergency room a bunch of times. Also noticed colds now bring on slight recurrence of symptoms. All I a Pretty healthy 35 year old with no prior problems. There seems to be little understanding about the recovery process among Dr's. Interesting article. I am intrigued because I had recovery symptoms for about two years. My EKG and echocardiogram were typical and showed no damage. 10-30% is huge variation. I am wondering what other studies have found. I had a PE in July... Scariest ordeal I have ever experienced... I have gone through exactly what you have described... Now I suffer from heart racing and lightheadedness and strange breathing issues... I am hoping like you have stated it will get better with time... I have been to the ER several times since due to panicking and they have told me the major clot is gone... So, I am suffering from residual effects and after all the test coming back normal I keep telling myself they have to be missing something because I shouldn't feel this way if what they say is true. So, in the meantime I am waiting to see if I will ever be 100% again I guess that can be part of my depression although I don't really feel depressed! The link below, dated Nov, 2014, is the only webpage I have found that tells us about the post PE issues and recovery statistics. 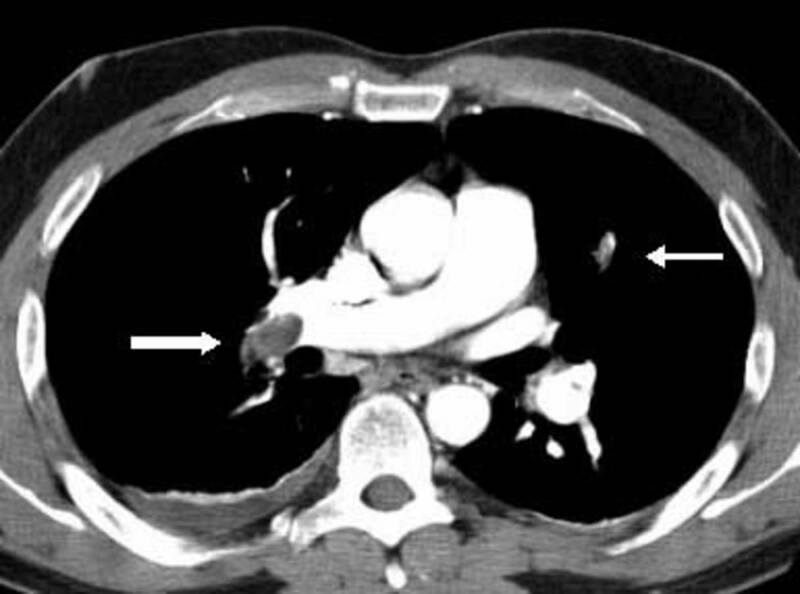 The title: The post-PE syndrome: a new concept for chronic complications of pulmonary embolism. I was diagnosed in March, 2015, with multiple bilateral PE. I nearly died. Three weeks later I was in hospital again, with a similar but different episode. Six months down the track, I still have symptoms. Sometimes I think I'm good, getting better, no symptoms for days, then I get it all back again, sometimes for extended time periods. Like right now. Pain, shortness of breath forcing me to cough, fatigue. You all know how it is. I figure... I haven't died yet, and the doctors aren't worried, so why should I be. On those days I do worry though, because the medical doctors tell me nothing. I assume the news from the echo heart scan that was done two months at my hospital's out-patients clinic ago was ok. The results weren't even sent to my GP. A month ago I wore a heart monitor for two days at home, still no communication from the hospital. Then a few days ago, I get another request from the same hospital to go do a D-Dimer blood test in readiness for my Out-Patient's checkup, which will be in 4 - 8 weeks. I intend to present them with a list of questions a mile long! I should add that I'm a New Zealander, with the benefit of free hospital care. This means most of the time you don't see a specialist and the whole system is fairly slack! Wish I could afford health insurance. I suffered a PE 2 years ago(May 2013). I just found your site as I was sitting here coughing and decided to google "how long does a cough last after a PE". I am so glad to find this informative site and a place for people to share their information. After diagnosis in the ER, I was given warfarin & lovenox shots. But the hematologist that visited me in the hospital put me on Zeralto she said it would be easier no blood tests or special diet, and sent me home as I did not need to wait for the meds to reach the therapeutic level. I was scared but went home. I had every side effect on the Zeralto, back pain, body aches, my fingers even hurt, it felt like I had the flu for 6 months, I was too tired to work. I tried, but did not have the stamina required for my job. The hematologist ran tests, the one that came back positive was Lupus anticoagulant, but the Dr. said they will rerun the tests after the 6 months on my zeralto, as there is sometimes a false positive while on the medications. After I was off the medication for 2 weeks the blood test was done again and came out negative. I am thankful I do not have to take Zeralto anymore, due to the terrible side effects I suffered. But I still have a persistent cough, and will cough if I try and get a deep breath. I still occasionally have twinges in my legs and have not felt 100% yet. I recently went to my regular dr. and she did a pulmonary test that you try and blow out candles on a computer screen, it did show my level is low. I now have an inhaler that helps the breathing aspect. She said I may not have the oxygen capacity in my lungs I had prior to the PE. I feel blessed to have survived. I have 4 daughters and was able to see 2 graduate college, 2 weddings and am hoping to experience many more of life's joys in my future. I love to travel, my hematologist has me wearing compression stocking on flights under 2 hours and walk. I would like to travel again to further destinations, yet the thought of a shot in the stomach, or taking zeralto has kept me grounded. It does create a certain anxiety, the aches, pains, cough. Is there a point I will feel normal again? I am still waiting. It looks really painful, health is underrated by most people, I hope I can quit smoking, now , seeing what a patient of this decease can go through is no joke, why would I poison myself?.. 6 months ago I woke up with excruciating pain when I inhaled. Anything beyond the smallest inhale hurt. With in about 30 minutes I could take very small breaths, and was able to get back to sleep. When I woke up I searched the pain and came up with back spasms! I was in a 2nd world country at the time and had no desire to check out their medical facilities. My breathing got better over the next couple of days, but deep inhales still hurt. As that pain subsided, fatigue entered the equation. Walking up one flight of steps exhausted me. Now my goal was simply get back home and see my Dr. The flights were uneventful, although tiring. When I got home and in to see my Dr., he was puzzled. I was 61 years old at the time and in very good health for an "old" person. While I sat there with my wife discussing what was going on, honestly I was in tears thinking I was dying (I even wrote my wife a farewell letter just in case!). My wife refused to take me home so the Dr. called emergency and had me admitted. Turned out I had multiple embolisms in both lungs. The physician in the emergency room told my with I was lucky to be alive. The attending physician on the cardiac floor where I ended up told me I should be dead. There was no obvious reason for the PE's. The flights weren't that long (under 4 hours), no surgeries, but genetic testing showed I carried a marker from one parent. It is interesting to now note that my father died of a "heart attack" at age 60 (no autopsy), and his father died of a heart attack at age 59. The feeling is now that the heart attacks were a result of PE's, but we'll never know for sure. I will be on anti-coagulants for the rest of my life. Like almost everyone else, I've had ups and downs during my recovery, and this is the real reason I writing on this blog...to share what I have learned about myself and dealing with the after affects of having PE's. I am not the kind of person to sit by and wait to get better. I pushed myself. At first a 3/4 mile walks exhausted me. Now I'm back to low level mountain biking. In two months I plan on trying to scuba dive again (I had been an instructor for 7 years). Whether or not pushing myself physically did any good I'll never know. I would guess I am around 85% recovered. My setbacks all came about as a result of pushing too hard. What I had to do is to learn the difference to heavy breathing during exercise and gasping for breath and know when I was on the verge of entering into gasping. Gasping is my term for breathing harder and faster than what ordinarily would be expected. When I move into the gasping mode I'm done. I assume my lungs can't provide the oxygen my body is demanding. I've gone too far and my recovery from these setbacks ran from 4 days to 10. But I will also say that after a setback I felt better than I had before it. Maybe my imagination, maybe not. I'm a believer is working at getting healthy. The line between gasping and hard breathing was ever changing. I never knew for sure where that line was. I have to be very careful. I've also experienced chest sensations throughout my recovery that I can't find any information on. I have names to describe these sensations. "Sparks" are like small electrical jolts that are sporadic and move around. "Pressures" feel like someone is gently pressing on my chest with four fingers. Generally it is always in the middle of my chest. The Dr. doesn't know for sure what is going on but believes that these sensations are a result of enzymes breaking down the clots and being reabsorbed. Who knows. They haven't killed me so I accepted them. As I got better they became fewer and fewer. Today I might have a pressure or a spark when I start exercising or during a good workout. I understand we all recover differently, and my story may not parallel anyone else. And mine hasn't been a bed of roses. My wife and I shared a lot of tears over this. Not knowing how long and successful my recovery would be. How our lives are forever changed. How another PE may kill me. Dealing with bouts of depression. My heart goes out to those who struggle with problems worse than mine. No matter what, try to stay optimistic. I would love any feedback on chest sensations if anyone else has experienced them. Thanks - I am very lucky and that is what I am trying to focus on. Only allowed to "walk" as exercise for the next couple weeks, then I enter a local cardiac rehab program (as happened the last time, I also had afib during this episode). No travel for the next couple months. I am glad thattPA was there! I am sorry you have had to be a survivor twice. I am 3.5 years post DVT / PE. The blood tests showed no genetic component. And I am now 2 weeks out of the hospital after a PE so encompassing that I had to have tPA to save my life. It was successful, and now I am on blood thinners for the rest of my life. Like so many others, I am truly grateful you spent so much time writing and sharting this article! I was sent via ambulance to the ER after fainting and having seizures twice within 15 minutes. My Mom has experienced 7 blood clots - 3 of those PE's which required hospitalization. NO ONE ever suggested to me about having my blood tested prior to my experience even though my sister had a PE after surgery as well! My PE occurred in September 2014 with no warning other than an excruciating leg cramp minutes before I passed out. It is now 6 months later and my Dr. (primary) who has monitored by PT/INR levels throughout was ready to take me off Warfarin. My levels became therapeutic fairly soon after my 3 day stay in the hospital and I've been taking 10 mg Warfarin daily. The medical team was great at doing that but floundered when I asked about what to expect during recovery. Just take your meds faithfully at the same time everyday. Oh, and here is a chart with foods to stay away from or eat sparingly. WHAT? I was so lost but began my research so I could once again start to live. I knew the basics since I help caretake my Mother but nothing prepared me for the physical ramifications of what I would experience or continue to experience. Your article was insightful and understandable. I know after reading it and the many comments following that I am NOT alone. I'm not crazy and I'm not the only one worried this will happen again or I might not wake up the next morning. I still experience the shortness of breath although everybody seems to think I'm being a hypercondriac and just pat me on the head saying it will be okay. Thankfully the only chest pain I had was in the hospital and they looked at me like I was making it up although they did an EKG and chest X-ray to rule anything out. I also have Lymphedema (lymph node failure) which the medical community knows little to nothing about. The only education they seem to have on the matter is what I've shared with them. All the Dr.'s look at my swollen legs in disbelief that I might have a heart condition when it is just lymph fluid buildup that there is no cure for. Again, thank you for this amazing article that has brought so much relief to my weary soul. I give thanks to God every day that he spared my life that night. I will gladly share your article/experience with anyone I can! I felt a very heavy weight pressing on chest. The pain was exacerbated by lying on my back. I thought I was having a heart attack. Initial treatment at the hospital indicated the doctors were also suspicious of a heart attack. I had a CT scan, where the doctors found an embolism in left lung. I am now on Lovenox and Coumadin. Thanks for sharing this useful information. I have also diagnosed with PE. One problem that occur after treatment was heavy bleeding, for that purpose my doctor suggested me coupe menstruelle cup, which helped me a lot. For more details you can definitely visit http://www.cupissima.com online. Hello, I'm glad I found this site and its been useful although the story I have is different. I was in hospital having our first baby when my partner complained of severe back ache and stomach pains. I told him to go to the A&E while we were waiting for our baby to arrive and get it sorted. They tested him for a kidney infection which was clear and gave him pain killers. He didn't get better only worse over the next few days so we paid another visit to A&E. This time he was told that he had slipped a disc and given Stronger painkillers. The pain became so bad for him that he couldn't walk to the kitchen without being out of breath. Thinking that he had a slipped disc he booked in with an osteopath. The osteopath confirmed it was likely to be a slipped disc and worked on him as well as giving him exercises to do at home. This never worked, he got worse. Another trip to A&E and another misdiagnosis once again. In desperation we tried a chiropractor, he informed Pete that he would need £850 worth of sport massage to correct the problems with his 'back'. At this point we were at the end of our tether as Pete was getting worse everyday and our baby was only 4 weeks old. We then paid for a private consultation with BUPA who said we could have an MRI scan on the back to see what was going on. We booked this with a 2 week wait. Then, Petes leg started to swell massively and changed colour. Another trip to A&E the same day and they put Pete on the blood thinning injection and booked him in for an ultrasound a week later on his leg looking for a DVT. We went for the ultrasound and was told to go home and visit our doctor again as nothing could be found, no DVT in the leg. I decided to change our doctors as Pete had been there and they would not help him. The new doctor we saw referred him back to the hospital as an out patient in ACU the next day. We spent the first day at the hospital having various tests and a CAT scan. We were told to come back the next day as nothing was found again. The next day is when everything changed, the doctor came into us and said 'we found whats wrong'. He directed us to a bed and told Pete not to move around. They then explained that they had found a massive blood clot in his inferior vena cava vein which extended into both legs in the illiac veins - right and left legs (this was foreign to us but knew it sounded bad). Within an hour, Pete was blue lighted by ambulance to the Royal Free Hospital in London. At this hospital he was under a Vascualar team and Heamotologist. The blood clot was confirmed and it was also confirmed that he has no blood clotting disorder, they believe the clots he has were caused by trauma. Pete did have an accident when he was 14 when he fell down the side of a train which would explain this. They also think another injury caused the second clot in the same place as there was one very old and one new. He stayed in hospital for 7 nights and was told he would need life long warfarin and compression stockings, he's 37. When Pete was discharged they could not keep his warfarin level to the theraputic requirement. This had a major effect on Pete as he was getting slightly better but when he INR was too low he went back to being very ill again. We sent some emails to royal free and they asked us to go back and see them again. They gave Pete an MRI of the effected area and confirmed it had not got any worse and that due to the extent of his clot, he would need to go onto Rivaoxoban as you do not have to keep this drug within a theraputic range. It's now 3 months nearly since Pete has been on this drug and fingers crossed it seems to work well for him. Last week we had another blow, a recent lung scan has shown Pete also has various clots on his lungs. The treatment is the same as he is on now, just didn't need anything added to what he already has. My biggest annoyance is that 10 years ago Pete went into hospital with chest pains, he had raised Tropolin levels and they concluded he may of had a minor heart attack. Five years after that, he went to hospital again with excruciating back pains and was coughing up blood - he couldn't lay or sit down with this. He was told he had pneumonia and was sent home with antibiotics. This went on for over a month and again a further 2 doctors visits sent him away with pneumonia. Although the above was prior to our now known existing problems, I can't help but think it was this clot all along and not his heart or pneumonia and feel majorly let down by the professionals, other than those at the royal free. It's been six months now and Pete is back at work and doing ok. He will be on Rivaoxoban and will wear compression stockings for life. It does give me some hope that many of you have said the clots have dissolved? Thank you for sharing your wisdom, what a sophisticated article and many comments and feedback. Impressive work. Thumbs up, Sharing and now following you! Hi all. I have PE as a result of an emergency bowel operation. I apparently almost died as I also got pneumonia after the op and then the PE. My blood pressure was 200/90 for a few days. I had the tummy injections and am now home on warfarin taking 4mg and 5mg alternate days. I get tired quickly after doing light cleaning. (I’ve been home 3 weeks). I was a smoker and still have a drag off hubbies but am doing well on patches and trying to stop. I want to sleep all day some days and am great others. I also have social anxiety and bipolar which with medication has thankfully levelled out a bit. I also have osteoporosis and psoriatic arthritis. I am only 52. I am still depressed though as I am generally an up person and active. I just want this to magically disappear. It may be a while before I can work so finances worry me immensely as I have just got residency and we have little savings. (no insurance due to residency and hubby is retired.) I will get through this. I got through worse! Thanks for writing this. I was diagnosed with PEs in February its now October. I was let out of hospital in august and still have major chest pain shortness of breath. I wonder if it will ever stop and i will get back to a normal life, i had both my lungs collapse and spent 3 months in ICU. I had most of my lungs where covered in clots. How can i tell if ill have permanent problems from these clots and if so what could they be? Hello! Thank you for your article. I'm 3 months post saddle P.E. and blood clot following an ankle surgery. I've done ok lately but in the last few days have started having a heavy chest, can't focus, light headed and dizzy, depressed, disoriented, headaches etc Just not myself. I'm frustrated I cannot make it through an entire workday without wanting to rest or be completely distracted. I'm exhausted all of the time. I'm on warfarin (alternating 3 and 4 mg each day) Others feeling like this? Should I be seen again? I'm only being checked monthly for my INR. Hello! Thank you for your article. I'm 3 months post saddle P.E. and blood clot following an ankle surgery. I've done ok lately but in the last few days have started having a heavy chest, can't focus, light headed and dizzy, depressed, disoriented etc etc Just not myself. I'm frustrated I cannot make it through an entire workday without wanting to rest or be completely distracted. I'm exhausted all of the time. I'm on warfarin (alternating 3 and 4 mg each day) Others feeling like this? Should I be seen again? I'm only being checked monthly for my INR. Great information and also some amazing comments! I have been off of the warfarin for four weeks now and my heart rate fluctuates between 70 and 90 beats. I was on warfarin for six months and they have put me through a stress test and scanned my heart-everything came back normal. So my question is, has anyone else experienced something similar and if so, how long does it last? Hello, I live in Australia and I have just spent a few days reading all these comments and one thing that strikes me is that most people seem to have been very fit and/or athletic before developing DVTs and PEs. I wonder why this is. Maybe clots can arise from strained or overworked muscles? Perhaps they bruise in the same way that our skin does. My PEs occurred last week and I have been trying to figure out what caused the clots. I am wondering if it could be an event that occurred over six months ago. I was walking on uneven paving when the heel of my shoe got caught, I fell forward onto my knees and ended up with a small fracture to the tibial plateau of my right leg. Since then my knee has been sore and swollen but was worse a couple of weeks ago. My mother suggested I put on a knee brace, which I did but removed a few hours later because it felt too tight and was causing pain in my lower leg. That night when I went to bed I experienced a very strange sensation which I thought may have been either reflux or a heart attack. I had a burning sort of sensation go up the back of my throat, up each side of my neck and then into my ears. I could feel intense pressure and throbbing in my ears, kind of like a displaced headache. I lay there thinking about what to do and next thing I knew it was morning. I felt fine until I tried to walk to a friend's house and found myself short of breath after a couple of minutes. My friend is a nurse and urged me to seek medical treatment. This was on Friday July 25th, just a fortnight ago. I decided to take it easy all weekend and not go anywhere, then on Monday morning made a doctor's appointment but couldn't get in until early Tuesday afternoon. As soon as I told my doctor about my shortness of breath and knee pain, she sent me for an ultrasound of my right leg. Before the ultrasound was finished I knew there was a clot in my leg because the radiologist spent about 5 minutes going over and over one particular area. After that they phoned my GP, who requested a spiral CT, with dye injected into an arm vein. I thought it was a lot of fuss about nothing because I was feeling fine, just a little bit breathless if I walked too far. The radiologist really had to convince me to go to the nearest hospital and wasn't happy when I talked about going home first to get some things. He said I had multiple clots in every single section of my lungs. So I caught a taxi to the hospital and fronted up to the triage desk. They sent me through to the emergency department, where about six doctors came and went and all asked me the same questions. My blood pressure was fine, my oxygen saturation was fine, the ECG for my heart was fine - I just had lungs full of clots. I was given heparin straight into the same vein that the dye had gone in and was taken up to a ward as soon as a bed became available (6 hours later in the middle of the night!) Everyone else in the ward was complaining about how cold it was. I thought it was overly warm but I was sweating so much that eventually the wet bedclothes made me cold. I think that was the "night sweats" I have read about in other people's comments. I was discharged a few hours later (and walked home slowly because I only live a block from the hospital) once I had been shown how to give myself the heparin injections and familiarise myself with the different colours of Mareva (warfarin) tablets. The hospital has a scheme whereby a nurse comes to the patient's home every morning to do the INR blood test until the levels are right. The nurse came for four days and by then my level was consistently 2.4. I am now having my blood checked every few days and am taking 5 mgs of warfarin every night. I am feeling fine except for the continuing reflux, which is temporarily worse because I'm avoiding taking Zantac as it interacts badly with warfarin. I didn't have any pain in my lungs and still don't. I imagine the clots, although there were a lot of them, must have been very small because all my vital signs were normal. People keep saying how I could have died but I don't feel that way.... I'm still waiting for the penny to drop, I suppose. I am mildly autistic and sometimes it takes a while for me to process information. Maybe I will wake up one morning and think "Good grief, I almost died!" But right now I am just very grateful that everything has gone so smoothly. Always ask about new pain until you know your body. If you don't trust it you can have more testing to see what it is. The best you can do for yourself is to stay in communication with your doctor. I made two trips to the ER after my clots. Normal takes time and the knowledge that you are mortal will never leave. Feel free to get second opinions. You can consult with a hematologist, PCP, nurse line through your insurance, ER docs, or a pulmonologist. All of these people may have different thoughts about your situation. I love that you provided references! You are right about pursuing questions. I had to do that. After my pursuit I was diagnosed with vocal cord dysfunction. Breathing exercises and GERD medication helped that to become manageable. My dad has a "whooshing sound" his isn't from a clot, it is an AV malformation behind his ear. The blood leaks and he can hear it. Whenever his pressure is raised the sound increases as more blood is pushed through the malformation. This may give you some things to consider and ask about. Thank you for your very helpful advice. You've definitely made being a survivor seem more manageable. I am a 27 year old newly wed who was diagnosed with PE one week ago. The doctors suspect that my birth control and yet to be discovered genetic factors are to blame. I was only hospitalized for 24 hours because my many clots were small and only in one lung. I've been put on Xarelto (no Coumadin for me, apparently), and am hoping my nasty upper back pain (which is what brought me to the doctors in the first place) and fatigue subside soon. I know I should count my blessings for having been consistently stable throughout this whole process, but because of that stability and my speedy discharge, my loved ones and I are having a hard time understanding how sick I am and whether my recovery symptoms are worrisome. When I went to the doctor only my right side hurt (my right lung is the one that showed clots), but now I get pain on both sides and am worried that things are getting worse. I am not short of breath. My heart rate is under 100bpm. 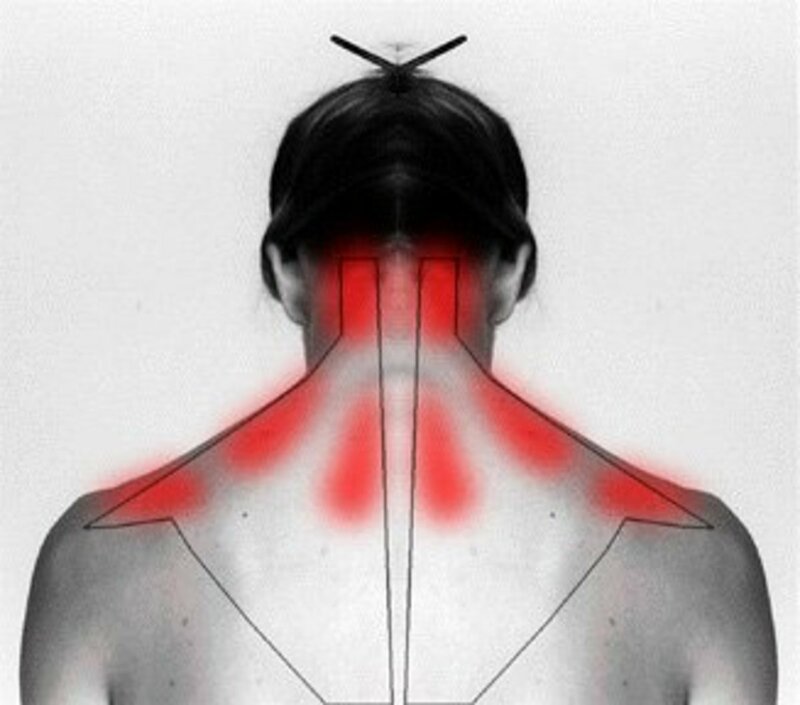 Besides the upper back pain and fatigue, I feel almost normal. Should I be concerned by this new pain? I've already asked my PCP who suggested I was fine. I have been most interested in all of these posts. In September 2013 I had a massive cerebral venous clot extending to my jugular and pulmonary emboli to 4 out of 5 of the lobes of my lungs. After an extensive hematologic work up, all tests were negative. My diagnosis is ideopathic hypercoagulopathy. I will be on coumadin for life. Since, I have had a cascade of bizarre symptoms. Despite physical therapy 3 times a week to increase my endurance, I have remained short of breath with activity. Normal PFTs (while sitting), negative cardiac stress test though told at the end I had a VERY POOR exercise tolerance. I pushed my pulmonologist when he blew me off (I'm a nurse and will not accept that for my patients, won't for myself either!) and had an EXERCISE cardiopulmonary stress test. That was negative with an abnormality (?). 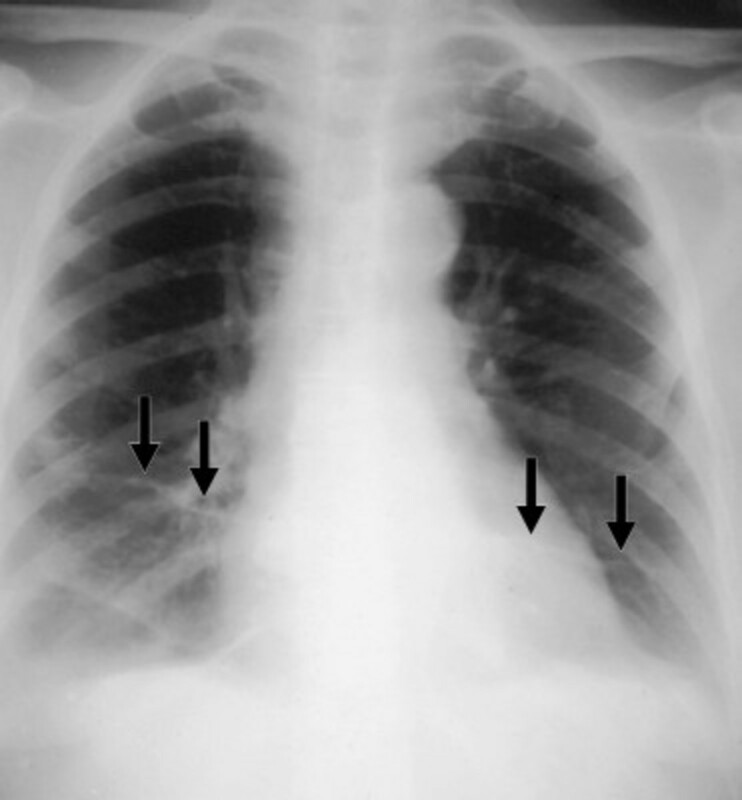 It was a 'Variable Extrathoracic Airflow Obstruction'. This is caused by vocal cord paralysis, thyromegaly, neoplasm and other things. Ironically, in February and March, my thyroid and one functioning vocal cord went nuts during this time. I was losing my voice, the quality changed and had to have a motility study and speech therapy. My thyroid developed into Hashimoto's after 12 years of stability. How after all this physical therapy, normal oxygen levels, am I so short of breath just walking one flight of stairs, walking like a turtle, can't hold a conversation at the same time?! My pulmonary doc threw me to the wind and told ME to find a 2nd opinion at a large medical center. I did and unfortunately found the wrong pulmonary doc but after crying, he at least listened and ordered a VQ scan (lung perfusion scan). He said it is negative and is sending me back to my cardiologist and referring me to a new vocal cord specialist (first one told me my cord was 'aged'! Really? It got worn out 2 weeks before my birthday?! Oh please! I get a fullness up into my neck like it is going to burst with pain in my eye. Eye docs have been following me since the first night in the brain recovery unit to be sure all vessels and retina all ok which they are and eye health good. They think the eye pain might be optic nerve pressed from the massive clot and just gets irritated. After the clots in my head reabsorbed, I was left with a bruit (whooshing sound in my head). My neurologist said he just went to a seminar where they discussed chest injuries which can cause a back pressure up through the chest into the neck!!! I am determined to get someone to listen to these symptoms and get an answer for me. To all who write in: DO NOT GIVE UP. YOU KNOW YOUR BODY. MAKE THEM LISTEN TO YOU. I want my life back and will prevail. My friend thinks I am an evolving life form! Another said I need Dr House!! Stay strong. This was such helpful information. Thank you for your thoroughness and description of post-PE symptoms! I was discharged from the hospital just a few days ago and am experiencing all the normal "recovery" symptoms you've described. I asked several doctors before leaving the hospital what I could expect. None were able to describe what you have here and what I've actually experienced. I think you've relieved my anxiety more than anyone. Thank you!! Thank you so much for this. A link to this page should be included on discharge papers. You helped me tremendously with your thoroughness and first hand experience. I am newly released and an sure will be back over and over again when in need of reassurance. Know that you have made a difference in my life and clearly many others with your insights. Thank you !!! I am currently in the hospital for PE. I was in the ER 2 months ago and was told I had bronchitis when in fact had PE back then. They misdiagnosed me, sent me home and sent me a bill. I came back again a few days ago with worse pain. That's when they found the PE. this whole situation makes me not trust doctors. They are like mechanics. Now I am scared for my life. This page is awesome! I am about 2 1/2 weeks out from Bilateral PE. I was in the hospital for 4 days. I've been super exhausted. I've been on medical leave for a while already for a condition called Pseudotumor Cerebri- fancy words for too much fluid in my head that puts pressure on everything. I was just diagnosed with this condition about 4 weeks before the PE. I did have a lumbar puncture ie spinal tap and a blood patch. My story in detailed in prior pages. I'm now almost 48 years old and a male living in Washington, DC area. It has been 2 years since my PE and my life changed. It was discovered shortly after that I suffer from Factor 8 high levels which cause me to have a higher chance of clotting. The first year was tough with lots of false alarm rushing to hospital and extra CT scans I didn't need. All the while, I've been under the care of a good hemotologist and have my INR (and sometimes other tests) monitored monthly. INR is usually around 2.3 - 2.7. My doctor has said that I will need to be on warfarin for life or until a better drug comes along. I recently found myself in the hospital for severe obdominal pain (just below sternum and left an inch). I've had this pain for years and all test have come back normal except all CTs for past 3-5 years have shown some slightly larger lymph nodes and haziness in my masenteric abdominal region. No one has been concerned but the pain is always there and it is starting to affect my mood. I also have 2 rather large lipomas that could be pinching nerves in same area. I've decided to go ahead and (after consulting my primary care doc, hemotologist, gastro doc) to have surgery. I met with surgeon (he removed my gullbladder several years ago) and he will remove my lipomas and take a look around my abdominal area via liproscopic surgery. So, after having been on coumidin for 2 years , I'm going to stop it next week for 5 days until surgery and will resume it a day after surgery plus lovinox for 10-12 days following surgery. I've got some good doctors and trust all will be fine. Will update everyone in a few weeks. Hopefully the surgery will get to bottom of the pain. Isn't it amazing how a wonder drug can be a lifesaver for some and lethal for another? I am relieved to see the almost in your comment! Were the aneurism and warfarin incidents two separate things? I hope so as I can't picture mixing them! I am so happy you have recovered. Hi Lwelsh, thank you for sharing this for all of us who may not know what PE is (me) but I know what an aneurism is (Count down to a Miracle) and I know what Coumadin is. That almost killed my husband. We humans are so strong and yet so fragile at the same time. You are an inspiration to who have had PE or may have it in the future. Thank you so much for your insight! I was hospitalized January 2011 with PEs in both lungs, & am working very closely now with my doc to figure out what is wrong with me. I haven't been the same since the PEs. I now have asthma, & have to use an inhaler twice daily. I am also on a Beta Blocker for a rapid irregular heart beat. There are more days of feeling good than there are of feeling bad now. I dealt with severe total body pain daily up until a few months ago, & that has gotten much better with a supplement called Juice Plus. Now we are just trying to piece together the puzzle. I still have battles with breathing. I wake up several times a night because I have stopped breathing, which make my ribs & lungs sore in the mornings. I have begun to exercise again, & am excited about that! If this is all due to the PE, then you are absolutely right! People need to know how arduous the recovery can be! Thank you for collecting all this information and offering it here at this website. I suffered a massive pulmonary embolism nearly a year ago. I was in good health and in good physical condition. Life was going on as usual. All I remember is, on the fateful day, feeling a bit dizzy - then I began struggling for air. No matter how much i breathed I felt dizzier and dizzier. Then, suddenly (12 hours later) I woke up in the ER being told that I had collapsed and suffered a "massive pulmonary embolism" and that I was very lucky to be alive. I did not even know what a PE was!?!? I then spent five days in cardiac intensive care. I survived but my life has changed. Recovery has been fairly slow. I still fatigue easily and need more sleep than prior to the PE. Today, I need to sleep about 10 hours a night compared to 6 hours before. I exercise nearly every day. I started off training about a month after my hospitalization. Training for me meant plain and simple walking. First I managed to walk less than 100 yards before losing my breath and collapsing on the ground. Now, a year later, I manage to walk about 5 miles and even to jog slowly nearly 2 miles. My goal for 2014 is to manage to jog 3 miles without breaks (before my PE I could easily run 10 miles). It has been a tough struggle though, and I have learned to resign myself to the fate that I will never have the energy or the drive I hade prior to my PE. Life can still be good though and I am grateful for every day I get. It sounds like you need to work on finding some mental health help. Mental health is a HUGE problem post PE and often one that is neglected. Please, please, please speak with your doctor about a referral to counseling or a psychologist so that you can find peace. it can be done. Your body will get stronger. It took me two years but I got there. You can also look into pulmonary therapy for exercise tolerance rehabilitation with an exercise therapist, respiratory therapist, or physical therapist to help to regain lung function. Thank you everybody for your info and experience with PE. Due to the major changes that have happened to me while I am recovering I have been polishing a 9mm round to load into my Glock. I have lost everything. I was in great shape. I had a job as a sports photographer most would have dreamed of. As of now- months later I still can't walk up a trail 50 yards without my o2 dropping. Then my pulse hits 170's, fallowed by my BP spiking so high I'm back in an ER just before having a stroke. I get sick easy, I cant workout and for the first time in my life I am now 20 lbs over weight. I bounce from friends to family couches. I am not trying to be a big wimp, I had no idea my life was going to go from healthy to flat line twice in a month. Thank you! These articles were formed in a large part due to Daily Strength. I was on there a lot during my recovery period. If you need any info, let me know. You can also find me at Clot Spot. I just brought this page to the attention of new members at the DailyStrength forum. It was posted a while back and often new members don't read the back pages. Thank you for this page. Hi yes this blog is realy good and i have learned a great deal,I got a lung emboli on December 16 2013 and only came out of Hospital on 07 of January 2014. Im having a hard time but not because of the LE. I had a hip replacement in Nov 2013 and they found bacteria in my hip so i was given a temporary prosthesis which jumped out of its socket only two weeks after the OP pain which u just cant imagine posible,went back to hospital to recover for a week and was sent home. Three days later i had the LE,my complete hip was sceduald for today Jan 13 2014 but was postponed for a further 8 weeks because of the LE. Thank you! All is well here. Best wishes with the pregnancy! It can jump around a lot. The good news is that while you don't want a high INR read, the chance of bleeding to death is still very very very low. It is a very good idea though to have it checked a lot especially with the antibiotics; they can change gut bacteria and gut bacteria are vitamin K producers. Just saw my pharma doc to get INR readings. Just to warn everyone. If you're on a load of meds including antibiotics and your docs need you to be on warfarin get blood work checked early and quickly. Within the spave of 6 days my INR shot up to 4.9 from 2.8. There are many interactions with Warfarin. Good news is that so much is known about warfarin. I would think that asking for an echo isn't a bad idea. I don't know how they handle it when there are already heart concerns. I had an echo but it was just to look for thickening of the muscle due to strain from having a massive PE. A basic echo is fairly standard not sure about the more detailed one. Blood in sputum is a symptom of PE according to the major websites. I am glad you had your doc check it out thought! Great site. Thanks. I've learned much. I now realize I am so lucky to be alive. I'm a 55 yr old male if that matters. a) Has anyone had blood in their sputum? I don't have much. Maybe 6 'cough ups' a day. Docs say it is nothing to worry about. Am on warfarin and asprin plus many meds for CHF and antibiotics as a precaution that the removal of my colon did not have problems. b) A fib and A flutter were a major issue in hospital. Under control at moment. Obviously very weak due to time spent in hospital for colon removal and then PE. Do I need an echo-cardiograph to see if my heart ejection factor etc has gotten worse? Would this be the standard of care? FIrst off I want to thank you from the bottom of my heart for your carefully thought through and very informative website, which I just discovered tonight. But most of all, I cannot believe there are so many stories of people who have been through similar circumstances, AND you have taken the time and trouble to respond to people who have concerns and questions over a whole 4 years. I think this is an incredible achievement and a truly selfless act of kindness, and I know we all appreciate it. My story is similar to many, more severe than some, and a relative walk in the park compared to others. I am a medical practitioner myself and I must say first off that this training does not help you for this post PE recovery. My PE presented with severe (10/10) chest and lower back pain, so unusual in its waxing and waning nature that the ED doctor was convinced initially that I had renal stones and took a lot to be convinced otherwise until the D-dimer test cam back. CT two large clots one lung and one in the other. It is now 4 weeks post for me, and I have been frustrated at how some days seem so good and only a bit of paracetamol needed, and other days the oxycodone just barely holds the pain. Recently, I have become short of breath just walking from the bedroom to the lounge, so hard to cope with when I have been a veteran half marathon runner, and frightening to think that this could be my lot from now. Unfortunately, I have been doing a lot of self blaming when I have a bad evening and feeling I must have overdone it during the day, (at most I have done a slow 3km walk) but I am comforted to know from others here that that is the nature of the beast. Now I am fighting hard to not sink into depression, although I can feel it knocking on the door at times. I really think the words from my peers here will give me new hope and understanding, to keep doing 'what I can cope with' and realise that this may be the pattern for the months ahead. Thank you again for your wonderful helpful advice - and for being so dedicated to helping others in their journey. Hello again! A little more information regarding my history and high WBC: I'm a 33yr old female with a clean medical history. I am not "sick" (I do not have a cold, ear infection, or sinus infection), but I do feel severely run down and lethargic. I do not have pneumonia, mono, an autoimmune disease, or a thyroid issue. I do not have a fever. I do not have any open sores, scrapes, or scratches. My oral health is excellent. I occasionally have night sweats. I bruise easily, but that is normal on warfarin. I ache all over, but it's not debilitating--- I swell very easily and have had issues with swelling my entire life (with no known cause-BP was always great). My BP is the highest its ever been, but still not horrible. My doctor was worried about my WBC readings, but they were high when I was first diagnosed with the PE (granted, the levels seem progressively worse---but not greater than or equal to 20,000 lymphocytes). Again, thank you for just taking the time to read my story. There is so much confusing information out there and I think this forum helps ease a lot of my worries. Hello! I had bilateral PE and DVT from an occluded subclavian vein in my right arm (a little less than 3 months ago). Has anyone had recurrent above-normal white blood count post PE? I was feeling rough (a say this with a chuckle, as we all seem to feel off after this happens) and mentioned it to my doctor. We ran some more blood work and my WBC (lymphocytes) were high and we're monitoring them. Being the now hypochondriac that I am, I went back and reviewed my blood work from my PE admission and discover my WBC has been above normal the whole time. Anyone else having this issue? I'm fearing the worst, and seem to think I either have high WBC that is "my normal" or cancer...I deal with the stress by making jokes, but I am nervous and don't know how much to force this issue with my physician. Thank you for your insight and words of encouragement. Thank God and thank you for this website. My anxiety has already begun to decrease a little. I am 27 years old was diagnosed with PE and admitted to the hospital last Thursday and released yesterday afternoon. I basically had a list of risk factors working against me. I was a smoker and am now 4 days passed without a cigarette and determined to keep it up. Also I have an IUD and have to have that removed to take away the hormonal risk and to top that off, I recently changed careers and gone from constantly being on my feet to having to sit at a desk for hours on end. The doctor said my lung is partially collapsed and I also have a lymph node that I need to keep an eye on but nothing too scary. I have been getting the anti-coagulation injection since Thursday and they just started me on warafrin last saturday. I am going to be taking the injection for the next few days while I wait for the warafrin to kick in. At the hospital, my severe pain from the clot decreased quickly and is basically gone but I have found that I am now an anxious and nervous person. Before I was generally laid back and although I worried about my health, I didn't worry about it on the life and death scale that I now do. When I was in the hospital, they put me on bed rest because they didn't want the clot to dislodge but I can't help but wonder if that worry is over now. Do I still need to worry about this clot dislodging and moving toward my heart? I am sure it is smaller by now because the intense pain is gone but does that mean the clot is gone? Also, the past two nights, a few hours after I take the warafrin I start getting cold and notice a prickling mildly tight and mildly painful feeling around the center of my chest. That in turn makes me begin to worry and before long I wonder if I am having a panic attack or something. But now that this is the second night in a row of experiencing this, I am wondering if it could be an affect from the warafrin. I am fresh out of the hospital and not having the constant monitoring I got at the hospital makes me feel so uncertain about what is going on in my body and i'm trying to deal with all of these new anxieties and worries. Just reading about your experience has already begun to make me feel better. I have my first of many weekly follow up appointments on Wednesday so I'm sure they can lower my worries even further but just reading your page has made me feel like I can actually get some sleep tonight. Although I wouldn't wish PE on anyone, if you hadn't gone through it, you wouldn't have been able to help the rest of us and ease our worries and hearts. I am so thankful to you for going through this, then creating this page and keeping up with it. We are all created for a reason and I believe being able to help the rest of us is part of your reason so thank you from the bottom of my heart. Thank you for sharing your joy! I love hearing someone who has made the journey and has returned to life. I am 2 years post PE / DVT (2 clots in the lung covering more than 50% and 2 clots in left leg). Most of the time I feel wonderful - I am walking 25 plus miles a week, I have a new puppy that i chase after, I am back 100% at work. I did my first international trip (Israel). I do tire more easily but when i consider the alternative (and how ill I was) I am so very lucky. I use my CPAP nightly and believe that the sleep apnea was the cause of my a-fib and blood clots. I see my doctors annually. Life is good. And this site was such an important part of my (and my family's) psychological support network. Thank you so much for everything you do.